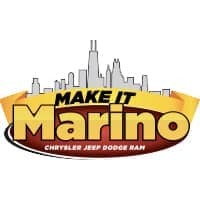 Si desea comprar, o arrendar, un Chrysler, Jeep o Dodge nuevo en Chicago, pero prefiere negociar en español, le podemos ayudar en Marino Chrysler Jeep Dodge Ram. 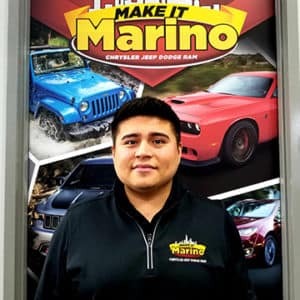 Tenemos muchos empleados hispanohablantes para que compre con confianza, incluyendo nuestro Gerente de Ventas, Frank Moreno. En persona, o a través del Internet, nuestros empleados hispanohablantes están dispuestos para hacer su experiencia agradable. 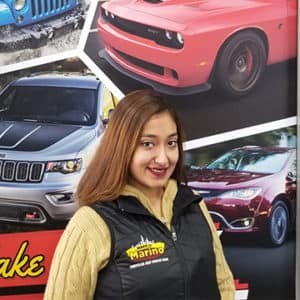 Es fácil ahorrar dinero en un carro nuevo con Marino Chrysler Jeep Dodge Ram en Chicago, IL. 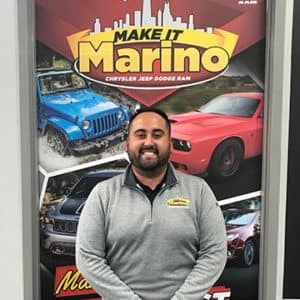 Frank is an Alumni of Lane Tech High School in Chicago. 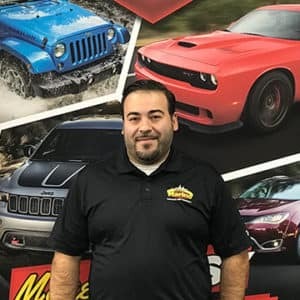 Frank started selling cars in 2006 and worked his way to management in only one year. Gabe is the father of 2 boys and husband of 1. He is an all around athlete, he loves to run & play soccer. 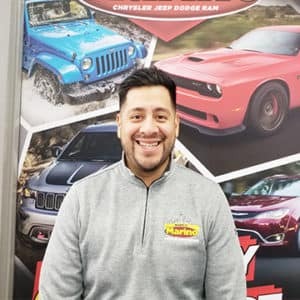 Gabe has finished 3 marathons, 8 half marathons and 2 century rides for MS.
Juan Carlos has been selling cars since 2009 and rated in the top 100 for sales in the country. 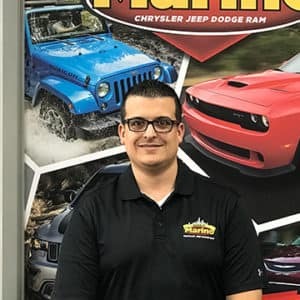 Juan Carlos was awarded MVP by FCA in 2016 & 2017 and has been master certified since 2012. 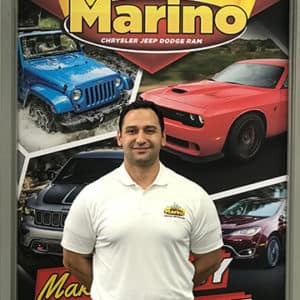 He is one of Marino’s top salesman as well. He has one son and spends all his free time playing soccer and swimming with his son. Por favor díganos cómo podemos ayudar. 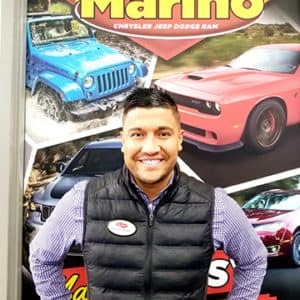 Marino Chrysler Jeep Dodge Ram tiene una gran selección de vehículos Chrysler, Jeep y Dodge nuevos con grandes incentivos de financiación y tasas de arrendamiento bajas. 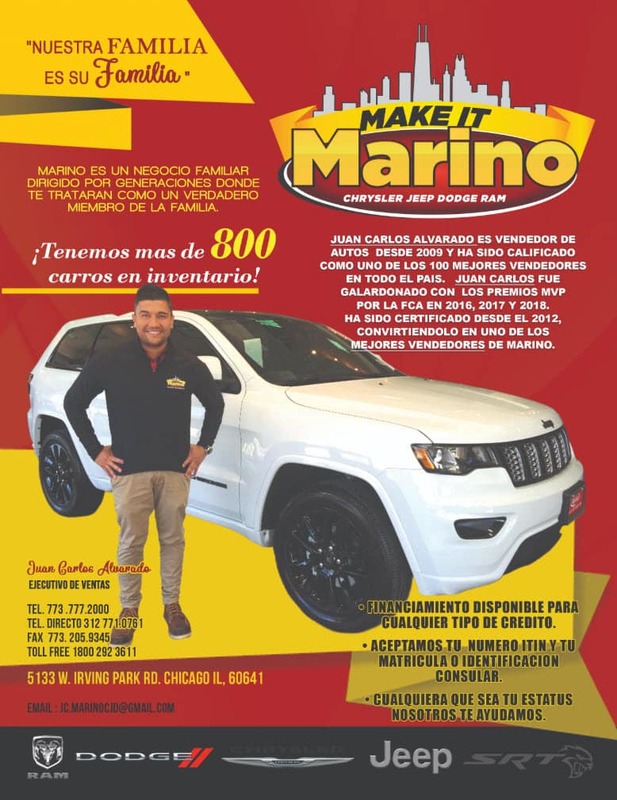 Estamos ubicados al 5133 W Irving Park Rd, Chicago, IL 60641, fácil de llegar desde Skokie o Cicero. 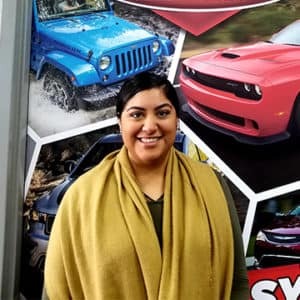 ¡Estamos para servirle en Marino Chrysler Jeep Dodge Ram!